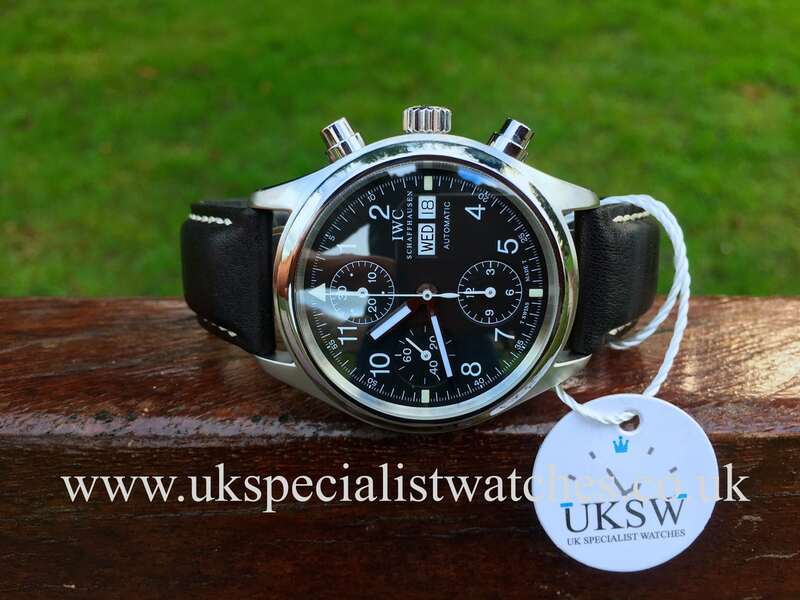 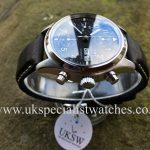 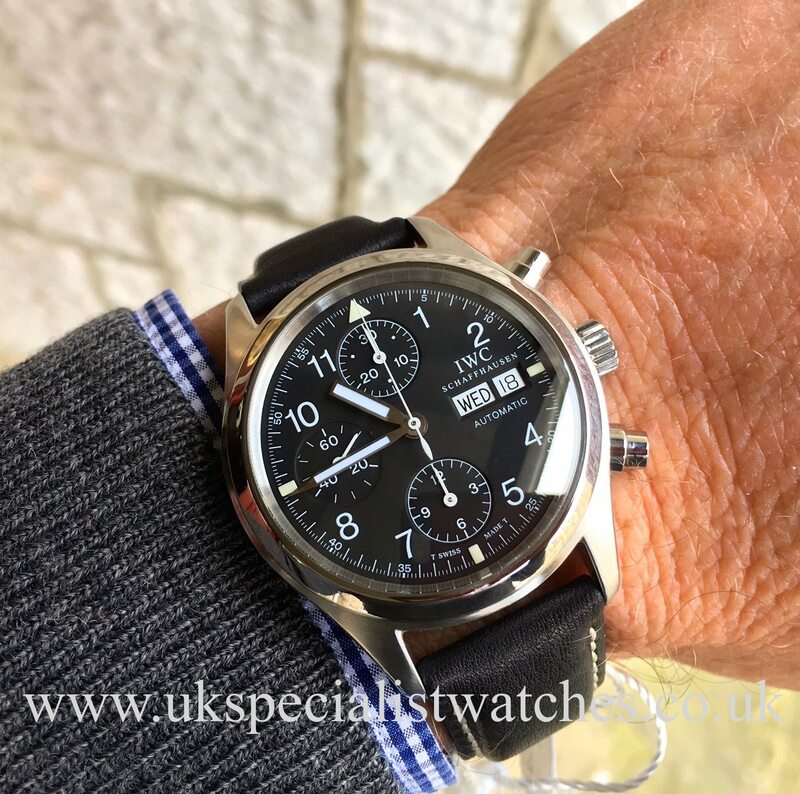 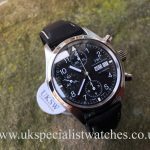 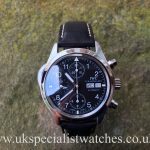 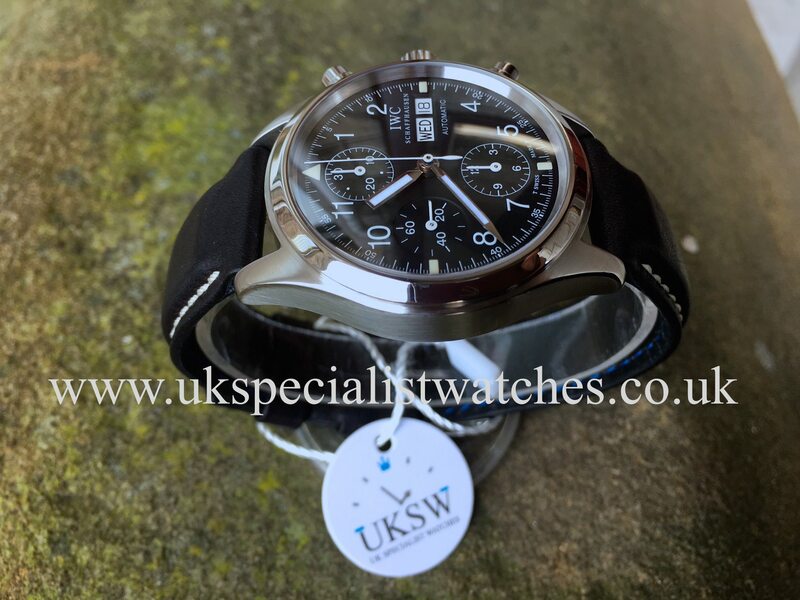 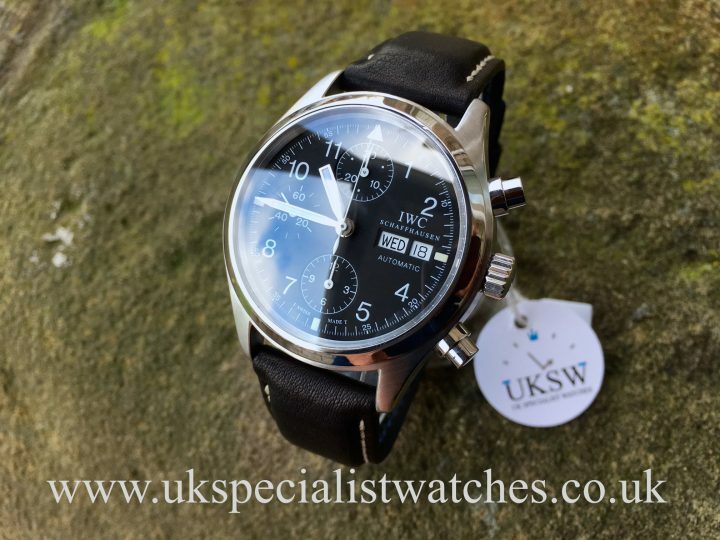 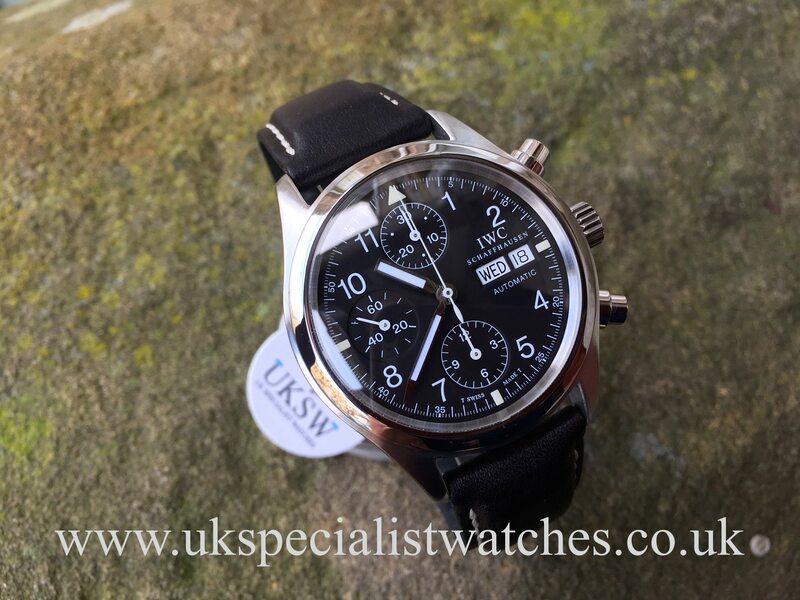 IWC Flieger Pilot's Chronograph Day-Date – Ref – IW3706. 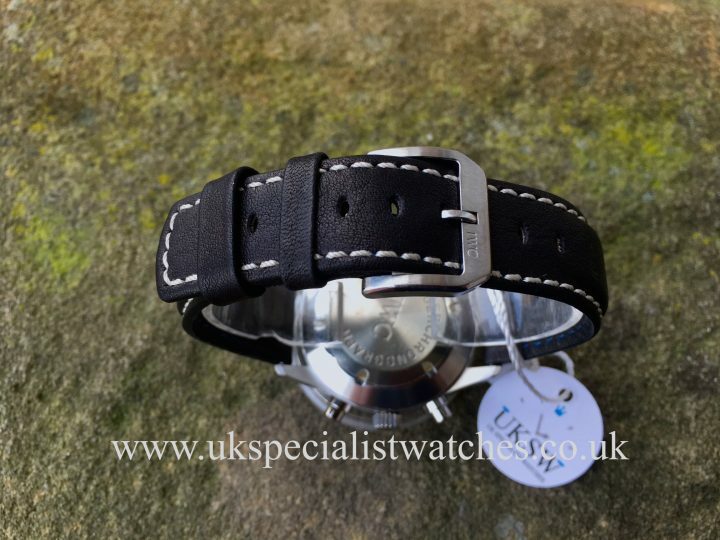 Solid stainless steel 39mm case. 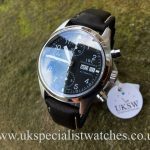 Black dial with arabic numerals, both day & date displayed at 3 o'clock. 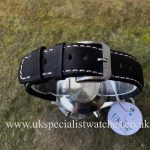 Fitted to a new black croc strap with white stitching and original IWC pin buckle. 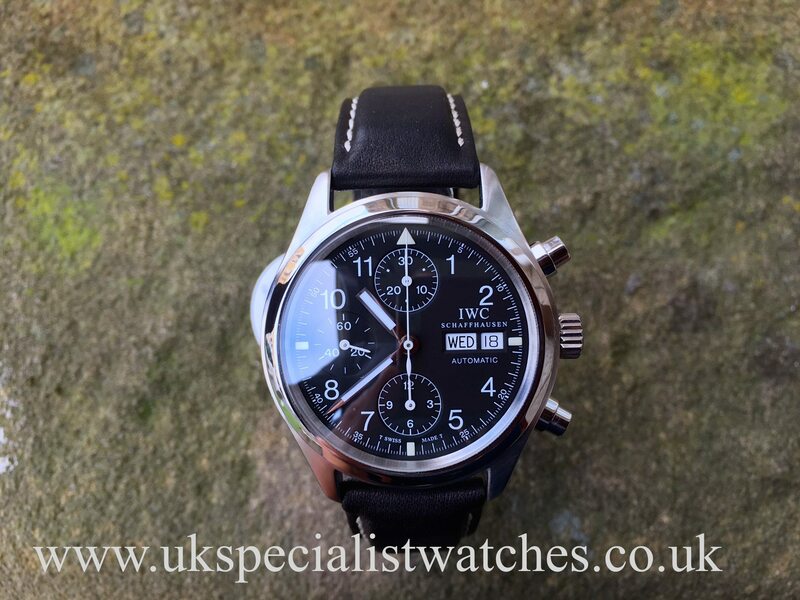 Powered by a automatic movement. 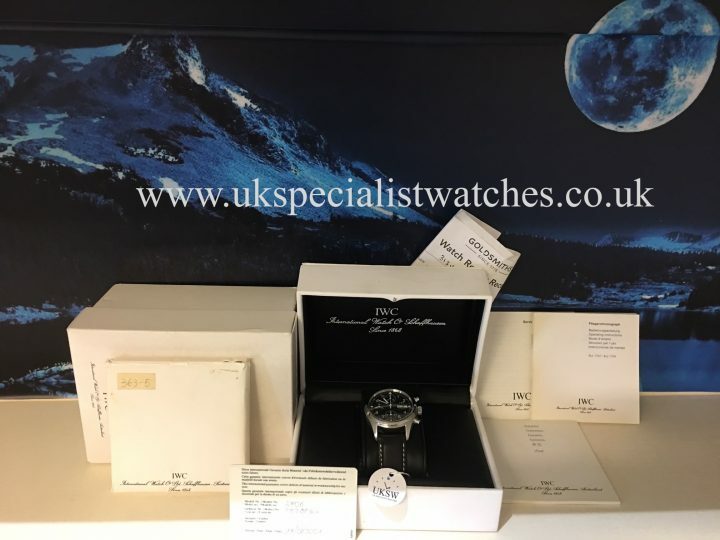 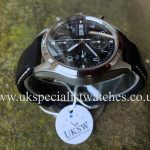 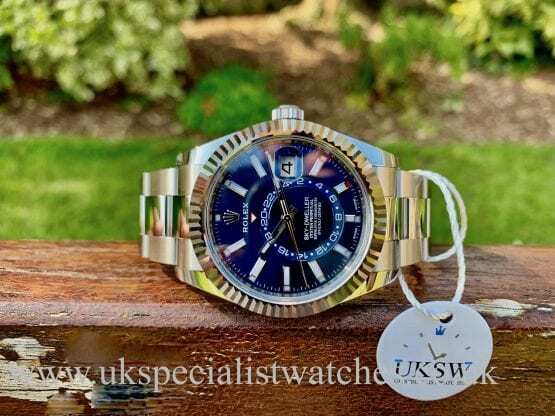 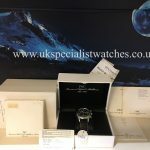 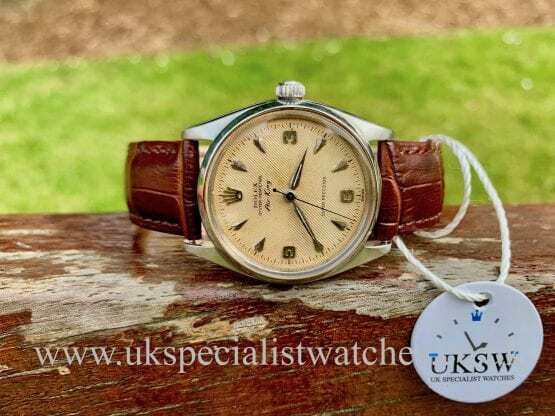 Our watch is in excellent condition and comes totally complete with original box, all three booklets, guarantee card dated August 2001 also service document dated December 2013. 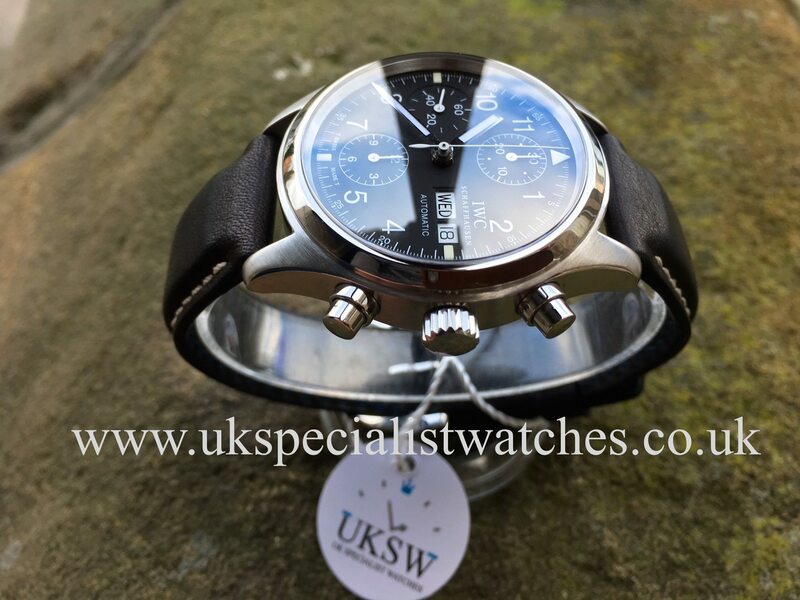 This watch represents fantastic value for money when you consider the complications within the movement!